Thank you for your ongoing support for this wonderful work. As you know we only send out 4 newsletters a year as we do not want to burden you with loads of messages. A lot has happened since our August newsletter. Here is a short overview. Erick and his brother Samuel were abandoned as children as his Father died and they lived on the streets begging for food. 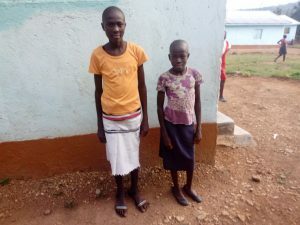 After a long time they were taken by Erick’s uncle and were sponsored for school and secondary school by a Baptist church in Sussex. Erick went on to become our Administrator at Home of Peace and he is now also our Purchasing Manager. 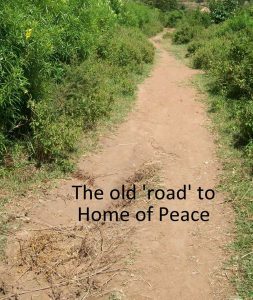 Samuel trained as an electrician and plumber and now works in Nairobi most of the time 300 miles but he also has a home and family near Home of Peace he has done all our electrical work free of charge and indeed many other jobs to improve Home of Peace. “Samuel did wonderful work which will help Hop for many years. We always don’t have good road to drive from Hop to shop, market and hospital, but Samuel organize tractor to construct about 1 and half kilometres from Baghdad hotel to Hop. So he paid for that, we thank God for that gift may God bless him”. 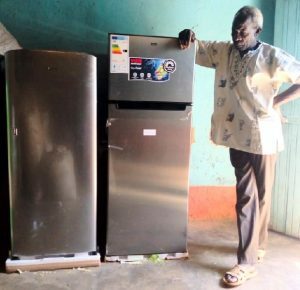 We are thrilled that Home of Peace now has 2 fridges to store food. As you will appreciate a fridge is a real blessing in their very hot climate near the equator. This is a picture of our Manager James inspecting the fridges as they were delivered. We were contacted by Children’s Services with a request to urgently admit 2 new girls. 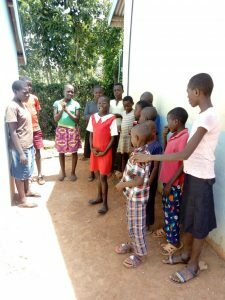 Officially our girls dorm is full but they gave us permission to house an extra 2 as their Mother died, their home fell down and their Father abandoned them. They are aged 12 and 10 years. What you see them wearing in the first picture is all that they owned in the world on arrival. In Kenya preschool children have to do 3 years of ECD (Early Childhood Development) before they can go to school. We have an ECD teacher who comes to Home of Peace to teach our preschool children and any staff preschool children. The latest children just ‘graduated’ The photographer lends them a gown and cap for their picture. 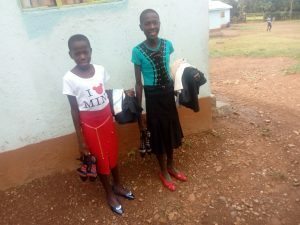 Praise God a family charity has just given us a gift to cover the cost of material for uniforms for all the children plus money for school shoes, school fees and books. A wonderful answer to prayer. 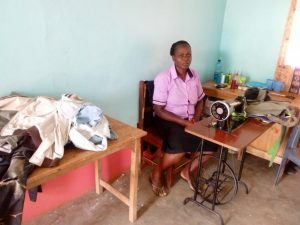 All our children’s clothes, school uniforms and staff uniforms are all hand made at Home of Peace by our wonderful seamstress / tailor called Benter. 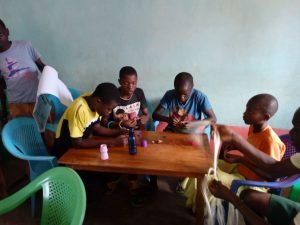 This saves us a lot of money but Benta will now be busy as the children all each need 2 school uniforms for the new school year that starts in January. This is a very busy and expensive time of the year. We like to give every one of our 56 children and students a gift of clothing or shoes for Christmas and we also like to give the same to the 42 staff children. We also need to provide a special Christmas meal for our children, staff children and members of our staff. These naturally costs extra money and we would really appreciate any gifts towards this expense. 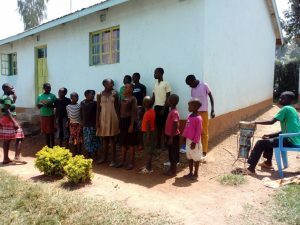 This coming year we will have an extra 10 children graduating from Primary School and going on to Secondary School. This is so very important as without a decent education they will have no hope of breaking the chain of poverty and problems that landed them in Home of Peace. It costs an additional £400 for each Secondary School child. This covers their school fees, books, uniform and a bicycle to get to and from school. 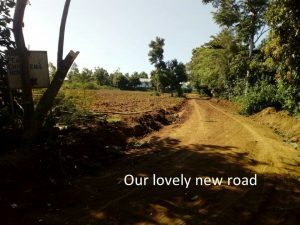 In January we will have 25 children at Secondary School. We cannot take their Secondary School funds from general money. They each need to be sponsored. Please pray about sponsoring one of them. 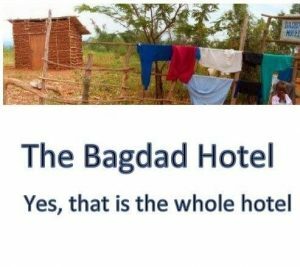 If you would like to Sponsor a Student for Secondary School, or to make a donation towards the Children’s Home please CLICK HERE to visit our SUPPORT the WORK page for a range of ways to give. Please do keep praying for this work and sharing it with your friends, family and your church.